A founding and acting CEO of SOC Prime, Andrii has dedicated his experience to drive company to the edge of the limits of innovation in Cyber Security industry. 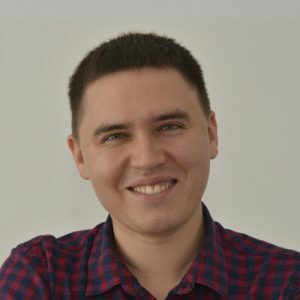 Andrii’s strong vision of both security and management worlds makes SOC Prime platform one of the most sophisticated technologies to establish a common ground between Management and Security experts. He has assembled and assured continuous growth of most diversified team of seasoned Cyber Security experts, experienced Sales and Entrepreneurs as well as young ambitious professionals. Andrii has proven ability to quickly collaborate with leading cyber security vendors such as HPE, IBM, Qualys, Splunk and build foundation of global partner network in US, BENELUX, DACH, CEE and CIS regions. As a founder, he has effectively demonstrated achievements of his team and partners by being recognized at global startup competitions including 2nd reward in finals of PHDays CyberSecurity projects competition 2015 by Almaz Capital and succeeding as one of SVOD Europe finalists by winning B2B pitch in 2016.